Fate: Sunk by bombs 1944; scuttled 21 March 1945; raised and beached for use as target 1948; still remains. SMS Schleswig-Holsteinwas the last of the five Deutschland-class battleships built by the German Kaiserliche Marine. The ships of her class were already outdated by the time they entered service. They were inferior in size, armor, firepower and speed to the new generation of Dreadnought battleships. During World War I, she saw front-line service in the II Battle Squadron of the High Seas Fleet. At the Battle of Jutland on 31 May – 1 June 1916. 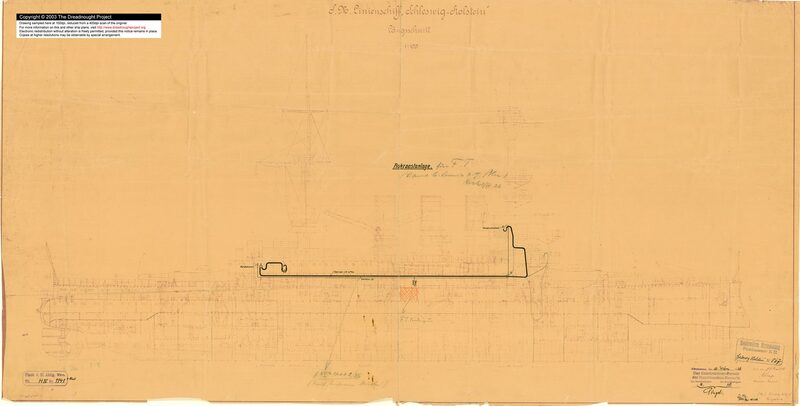 Schleswig-Holstein saw action and was hit by one large-caliber shell. 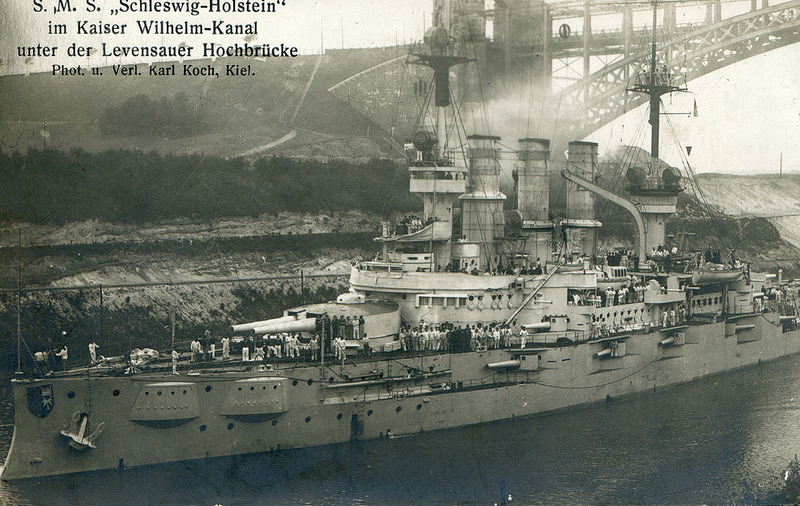 After the battle, Schleswig-Holstein was relegated to guard duty in the mouth of the Elbe River before being decommissioned in late 1917. 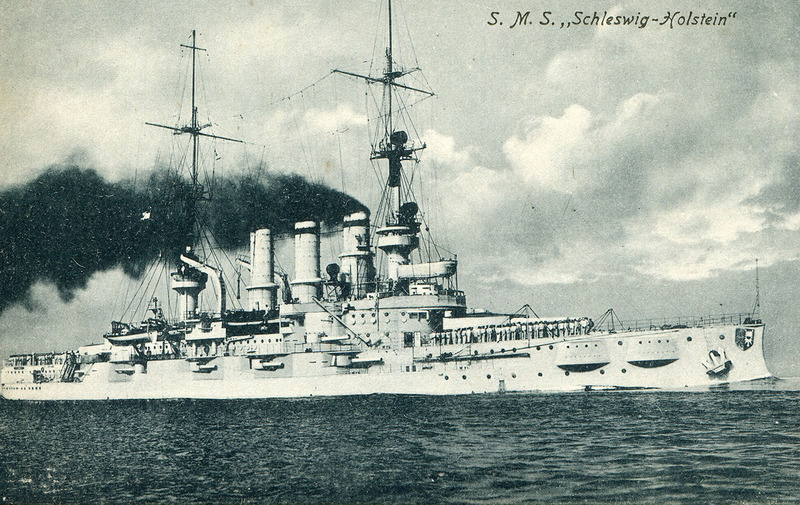 Schleswig-Holstein was one of the few battleships permitted for Germany by the terms of the Treaty of Versailles. She was pressed back into service in the 1920s. 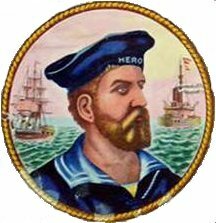 and in 1935, the ship was converted into a training ship for naval cadets. Schleswig-Holstein fired the first shots of World War II at the Polish base at Danzig's Westerplatte in the early morning of 1st September 1939. The ship was used as a training vessel for the most of the war, and was sunk by British bombers in Gotenhafen in December 1944. Schleswig-Holstein was later salvaged, beached and used by the Soviet Navy as a target. As of 1990, the ship's bell was on display in the Bundeswehr Military History Museum in Dresden.